Less than a month and the school bell will ring and the learning will begin all over again. I'm so excited!! We have been planning all kinds of great ideas for the lunch boxes and after school treats. One awesome and easy go to is Welch's Fruit Snacks. Did you know they come in several flavors? Not to mention they have nutritional value. We have decided to stay on the healthier options for snacks and meal planning. So far, it's working great. 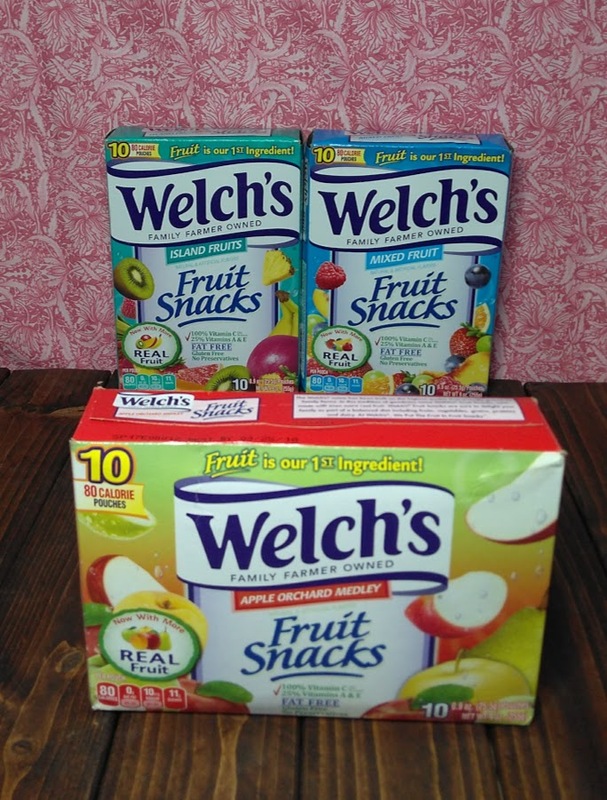 With Welch's, it's easy to stick with it. 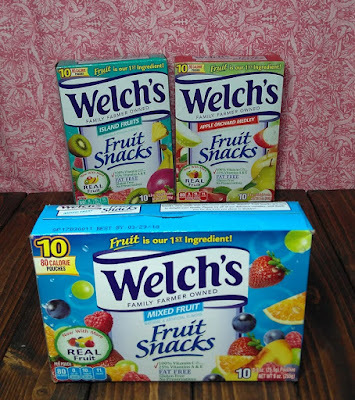 Each box comes with 10- 80 calorie pouches of flavorful gummies that are loaded with good stuff. 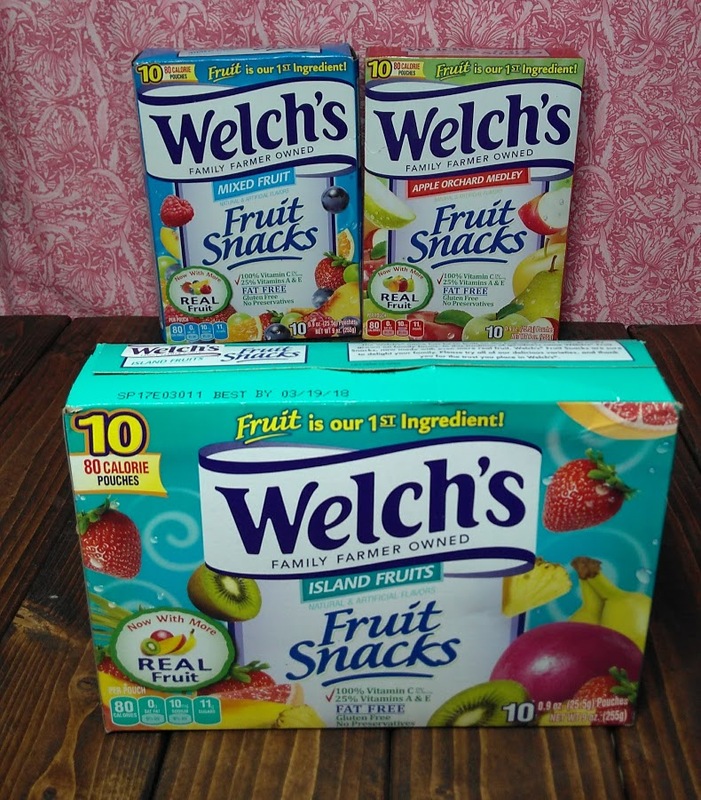 The package I received for the review had Island Fruits, Mixed Fruit, and Apple Orchard Medley. 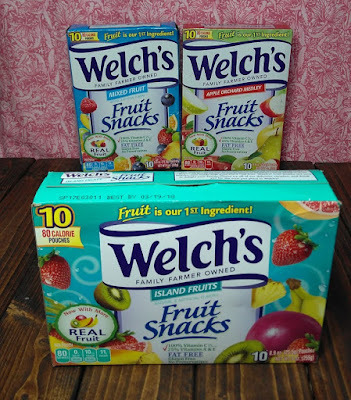 I had only tried the Mixed Fruit so it was a fun and tasty review. What I really like is the size of the pouches. They are perfect for a lunch box, back pack, or a pocket. They are fun for every age too. We have a lot of nieces and nephews, these are a hit with all of them. My niece is 2 and grabbed the box off of my desk and hugged it! They don't have to be school aged to enjoy them. I love their motto "Fruit is our 1st ingredient". I really do like to send fresh fruit with the kids for school but it's not always the best option. For the time allowed to eat their lunches, a whole apple or an orange takes time and it's also a sticky mess the way my kids do it. 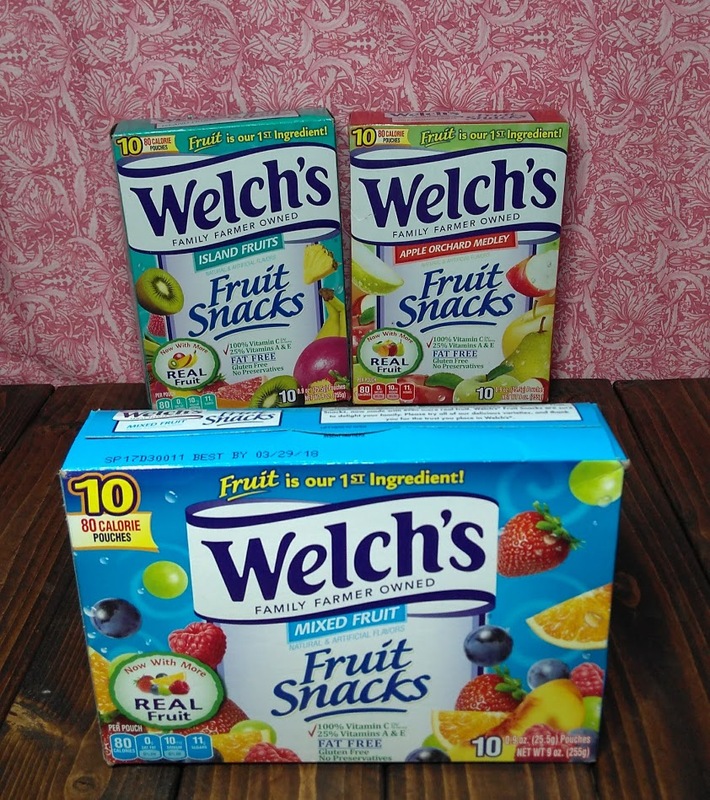 Welch's Fruit Snacks take the mess all the way out of it. When you check out their site, you can get valuable coupons to save money on the things you already love is a bonus for sure. I received these products for free to facilitate this review. If you have any questions, please feel free to email us directly at [email protected] or [email protected] We love hearing from you!